Improv. Night: A Huge Success! 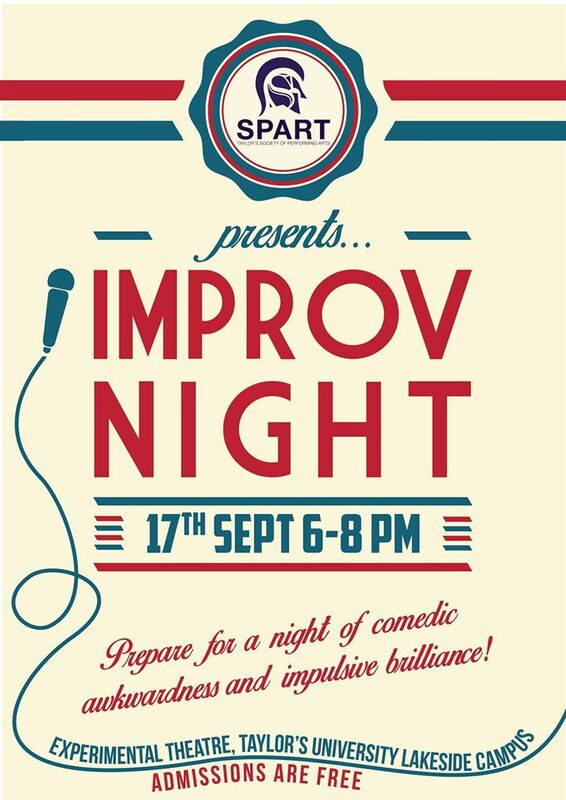 Taylor’s Society of Performing Arts (SPART) have recently outdone themselves with the success of ‘Improv. Night’ which was held on 17 September, from 6-8 pm. 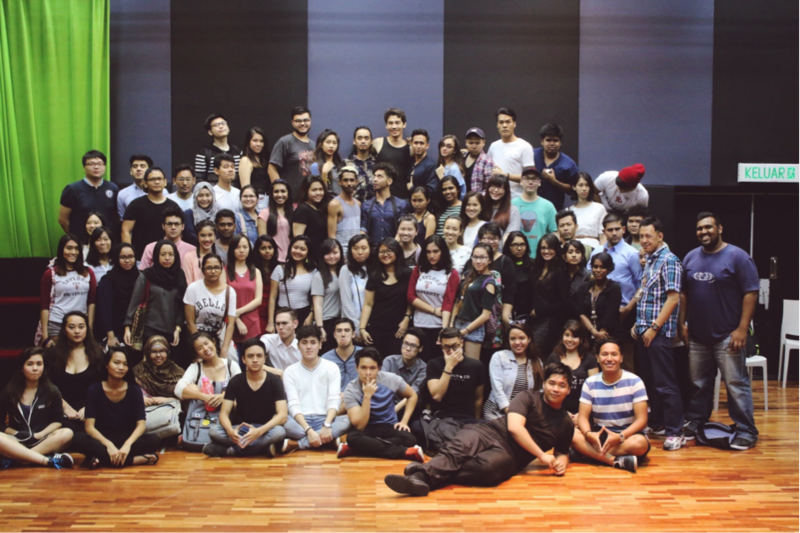 The purpose of the event, according to SPART’s artistic director, Esther Chze, “was to put SPART out there”. The club has not been very active for the last couple of years aside from their key Sparties Shorties events, but as they keep saying, this year is going to be different. Improv. Night was held in the Experimental Theatre, immediately making the audience feel at ease with the informality of the location. The whole event was based on improvised games so the setting was ideal for crowd participation. Sitting in the circle, we were told by the game master the general rules of each improvisation game. 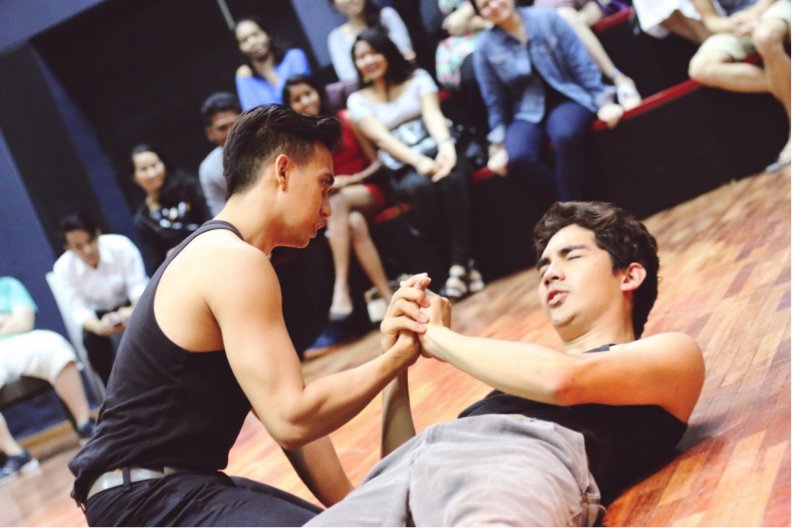 One of the games was called ‘freeze tag’, which involve two actors portraying a scene of their choice, and anyone has the right to yell freeze and take one the actors’ place, playing out a different scene. This game in particular managed to entice much crowd participation, to the delight of SPART. “It was interesting, watching them. I was like, Joyce, you just gotta do something,” said Joyce Wong, an audience member, after the show. She was definitely on to something as one of the major rules to Improvisation is to always say yes. As president of SPART, Surayyn Selvan informed me that these improv games are also played by the cast of the upcoming SPARTIES SHORTIES 3.0 before rehearsals. The night was ended by the game master calling a couple to the centre stage. 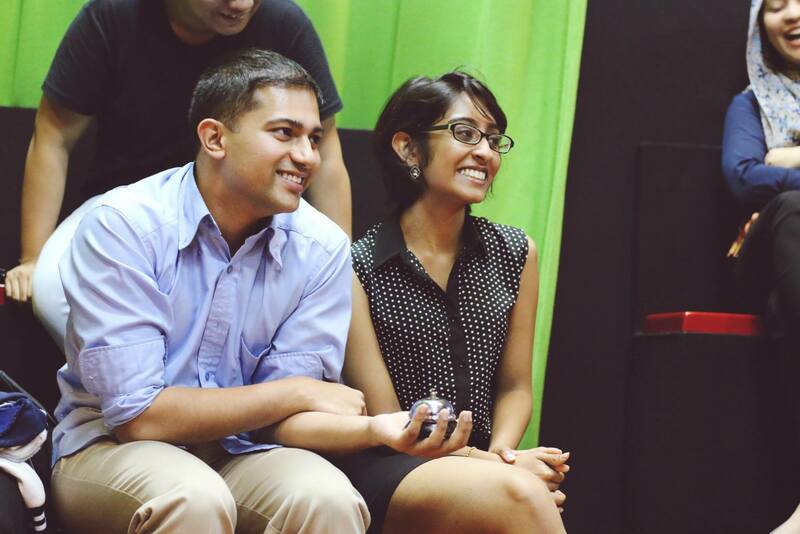 Prasanna and Girish have been together for a year and eight months now. The game master announced that the last game was for the members of SPART to re-enact the couples’ first date. “It was really fun and they did very well. It was more or less accurate,” the couple recalled after the show. Everyone was all smiles and exhausted by the amount of laughter they released by the end of the event. Surely this is a good sign for the success of SPART this year as SPARTIES SHORTIES 3.0 creeps up on us. 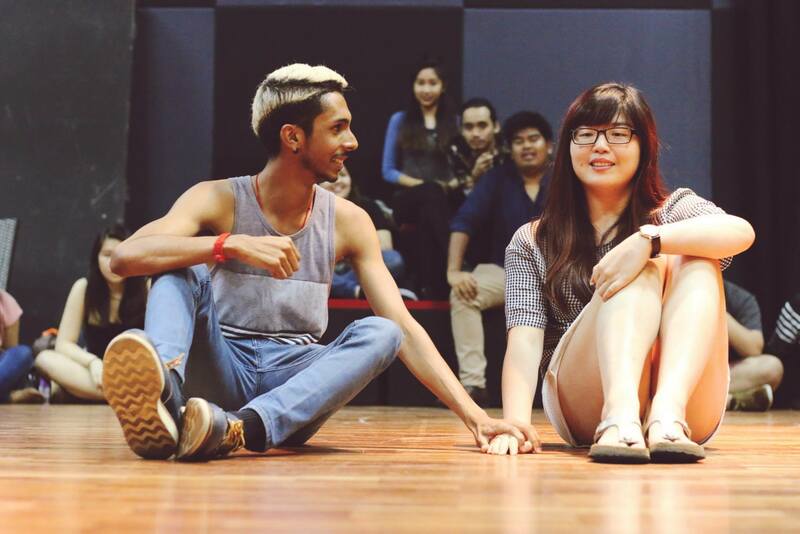 Tickets are already selling for RM18 and the collection of five short plays will take place from 7 to 10 October 2015 at Lecture Theatre 20. The two hour show starts at 7 p.m. and will contain a surprise for audience members as this year, SPARTIES SHORTIES will be very much different. So what are you guys waiting for? Go and book your tickets! Tags: actors, Art, artistic, audience, comedy, drama, entertainment, ETC Taylor's Magazine, ETC., ETC. Magazine, etctaylors, events, experimental theatre, improv, improvisation, laughter, performing arts, play, society for the performing arts, SPART, sparties shorties, Talent, taylor's society for the performing arts, Taylor's student, Taylor's University, Taylorians, Taylors, Theatre, tickets, TULC. Bookmark the permalink. Previous post ← Will You Make It “Until Dawn”?